Searching for a Twin Cities Web Strategy company? Here at Minnesota Interactive we use our knowledge and resources to help improve online business and websites. Regardless of whether your business is big or small, we know the best way to help your business achieve its goals. 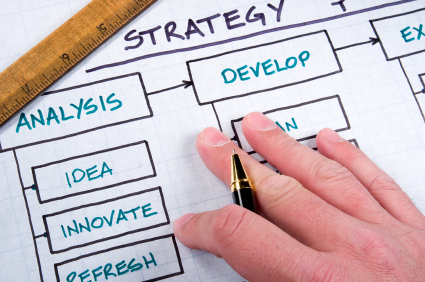 Web strategy is often completely overlooked by many businesses and organizations. Many business spend a lot of time and money on developing an advertising plan, while neglecting the potential for internet marketing. A web strategy is a model that works incredibly well for any business seeking to expand their online presence. In today’s business world, many companies frequently miss the opportunity to boost their sales by ignoring the internet. Hiring Minnesota Interactive to create a web strategy for your business allows for new techniques and ideas to improve your website and search ranking. We can evaluate your business and recommend internet-based solutions to reduce costs and ensure that your company has an increased profit. As well as discovering possibilities for keeping your costs down by using web strategy, Minnesota Interactive can also help enhance revenue and gain more customers. Since your website represents your company it is important that it is being displayed in a positive light. Trust is a huge determining factor for potential customers, and they are more likely to place an order and enlist the services of a company whom they trust. This is why it is important to have a cohesive and uniform web strategy in place for your online business. Contact us today for a free consultation with a Twin Cities Web Strategy expert by calling us at 612-326-559 or by filling out the form on the right of this page.